Whether you call it The French Fry store, Parcours or Hoballah’s it’s all the same grocery store on the Corniche. 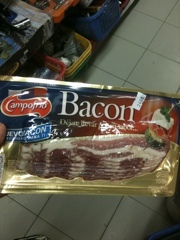 This week you’ll find American style bacon (yum!) 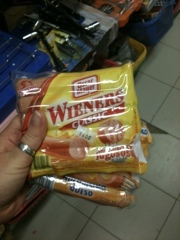 as well as Oscar Mayer hotdogs – including cheese-filled weiners (yuck!). 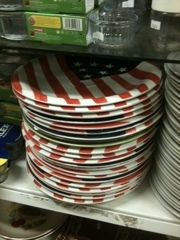 And you can serve dinner on US flag plates! Previous What are you drinking?